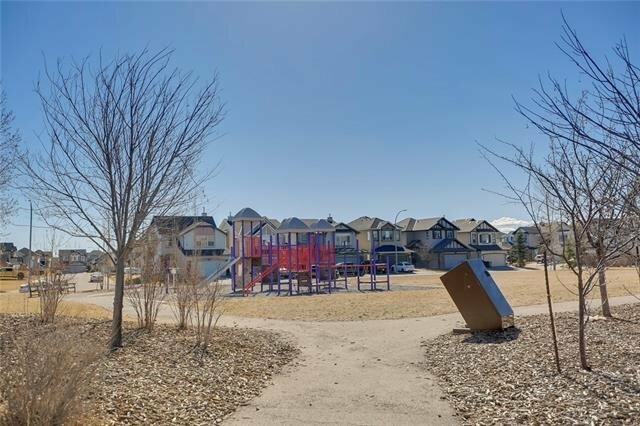 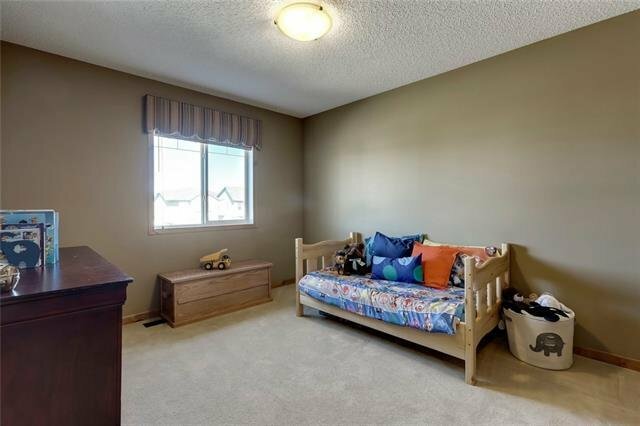 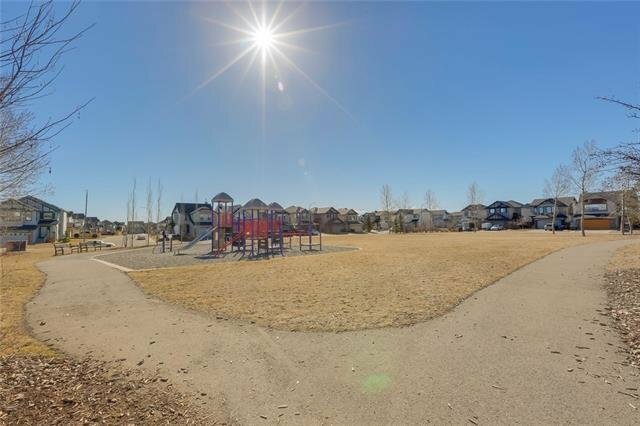 FORMER BEATTIE SHOWHOME ~ 3 doors from Playground / Greenspace ~ Come home to relax in your cottage in the city with several upgrades and close to schools and playground. 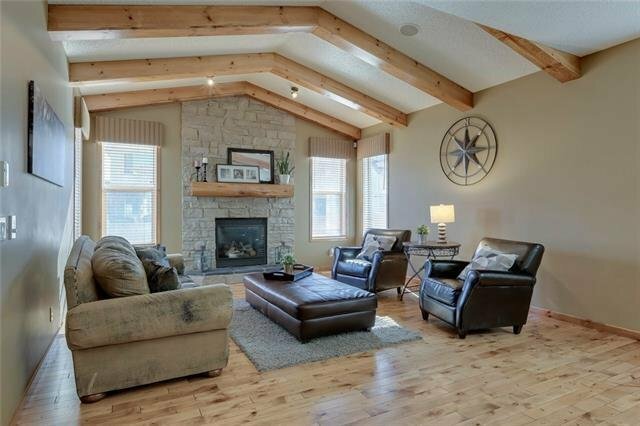 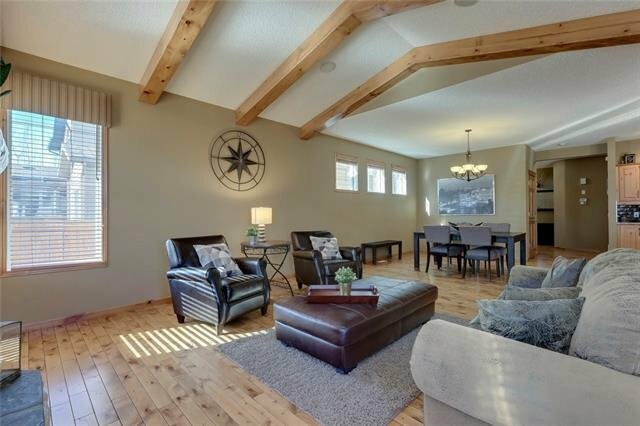 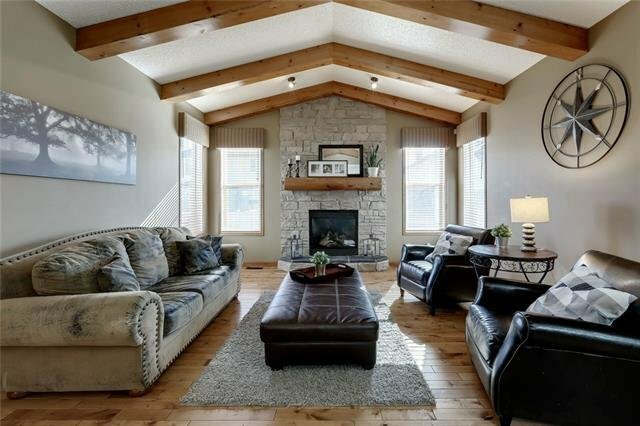 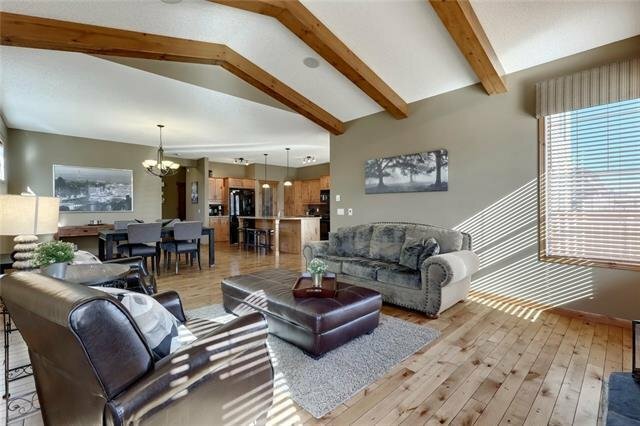 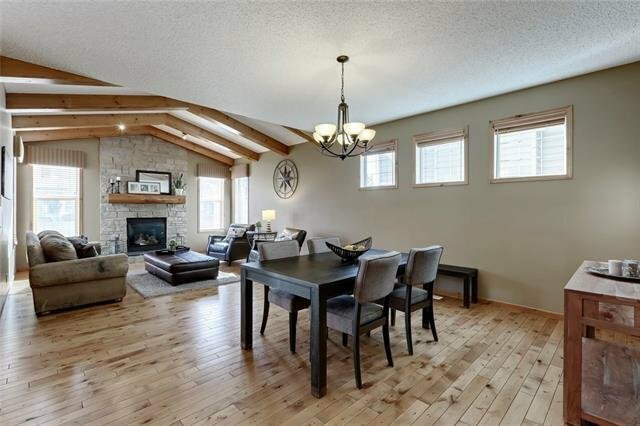 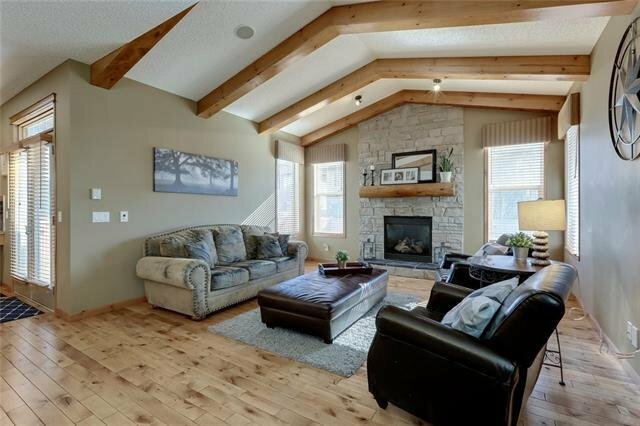 This home's large open concept rustic feel main floor features a living room vaulted ceilings accented with incredible wood beams along with cozy gas fireplace. 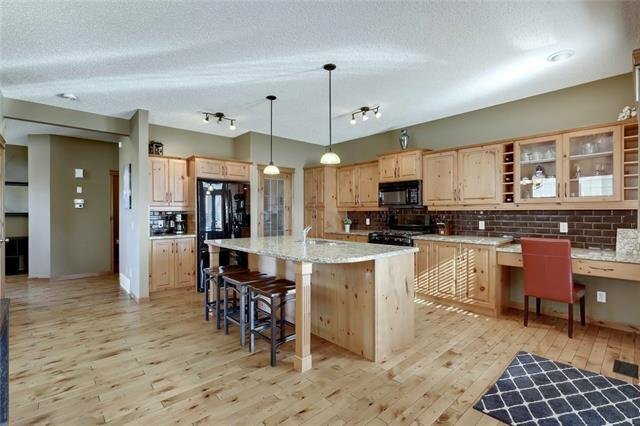 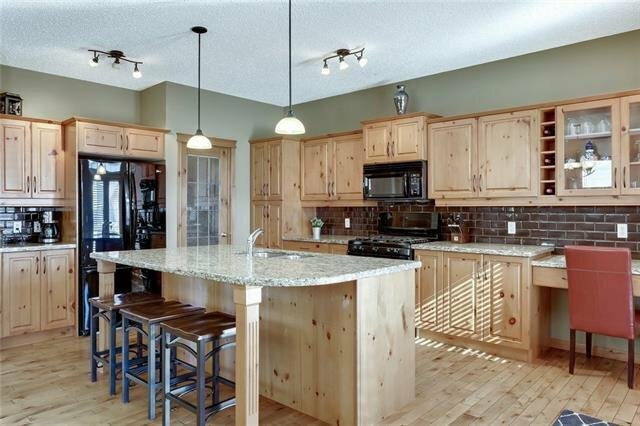 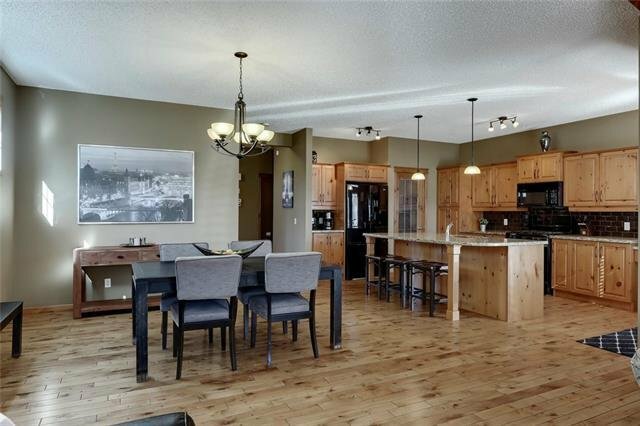 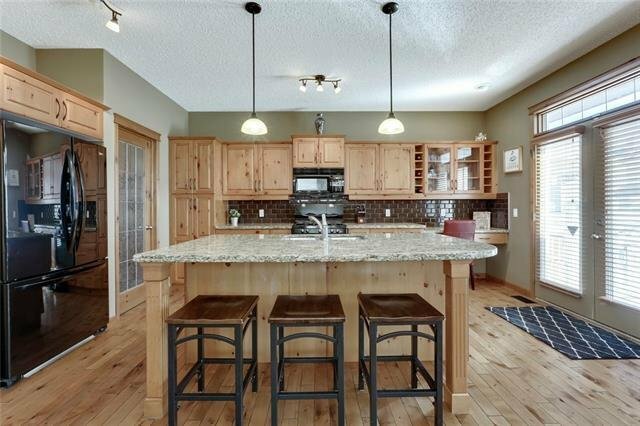 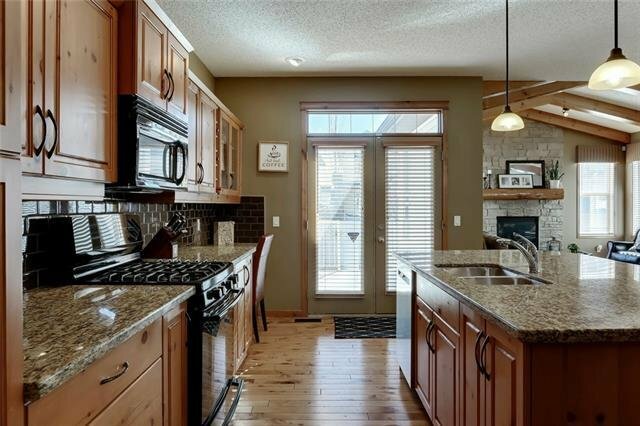 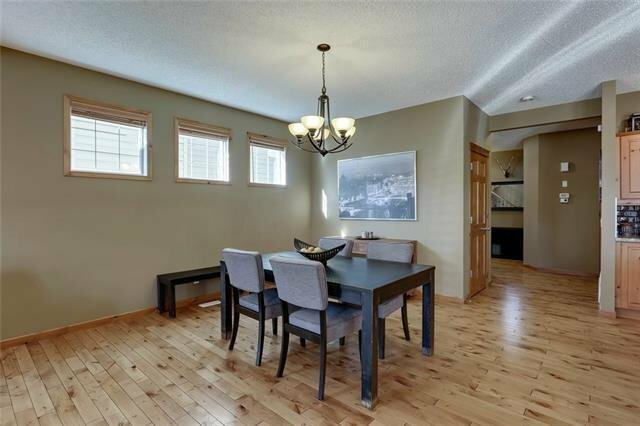 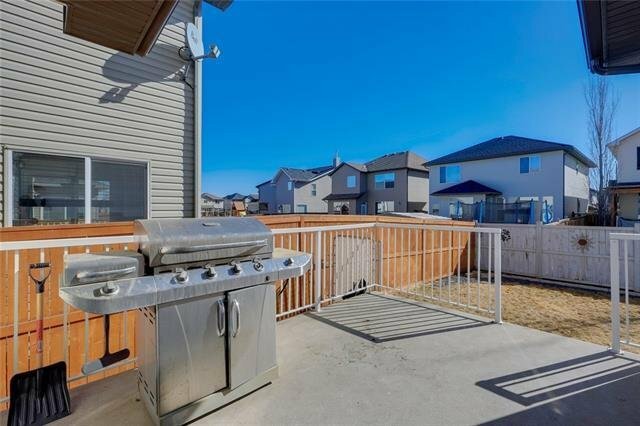 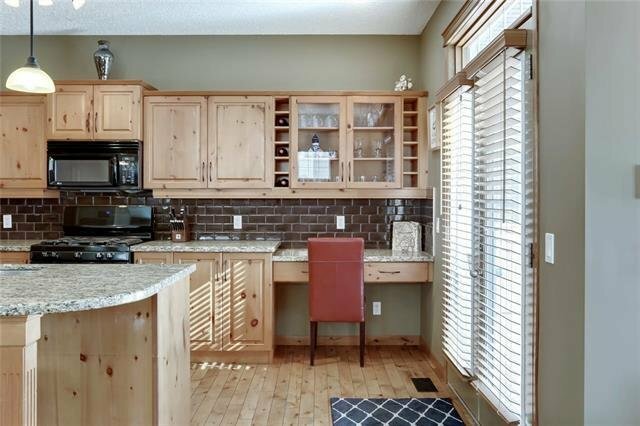 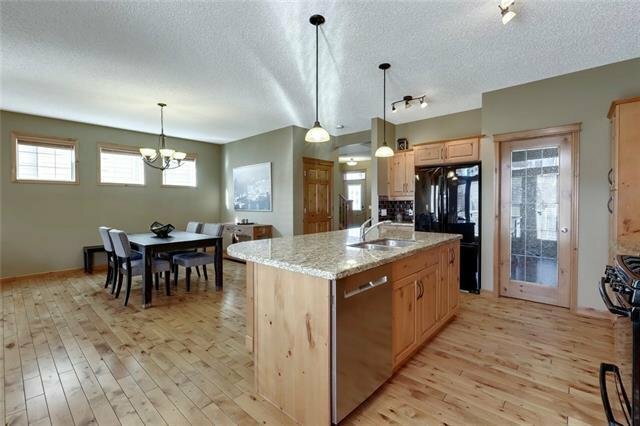 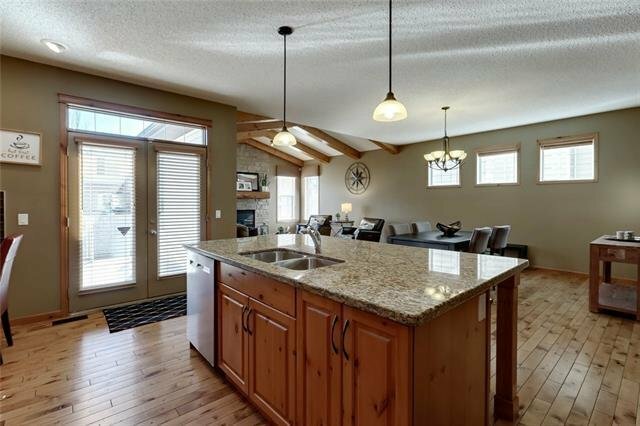 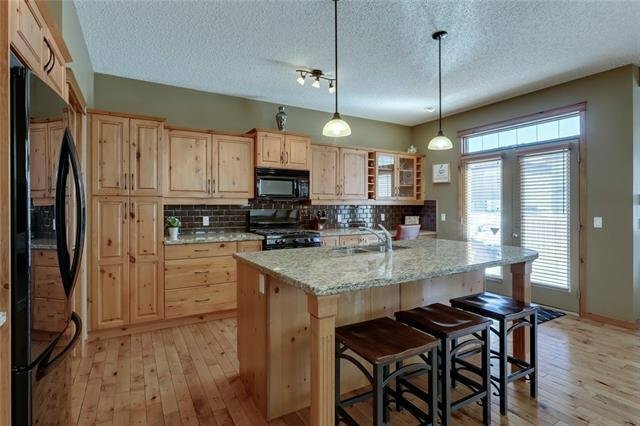 Large dining area and open concept kitchen with gas stove, good sized island, and large walk-through pantry. 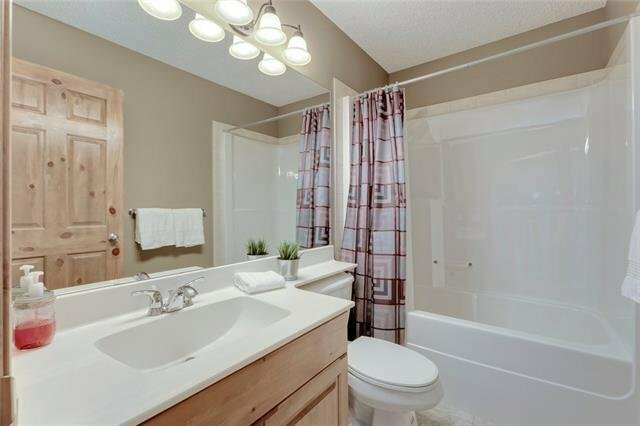 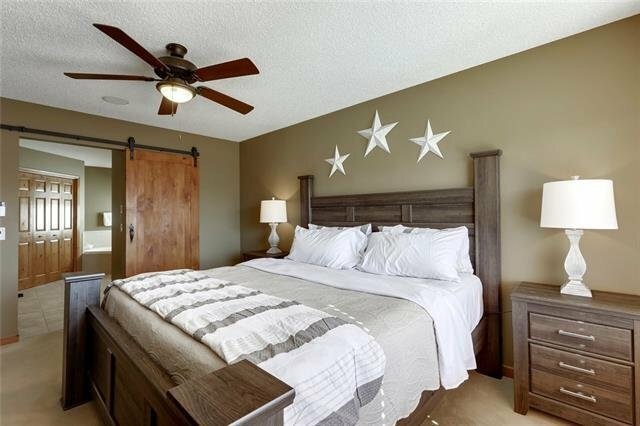 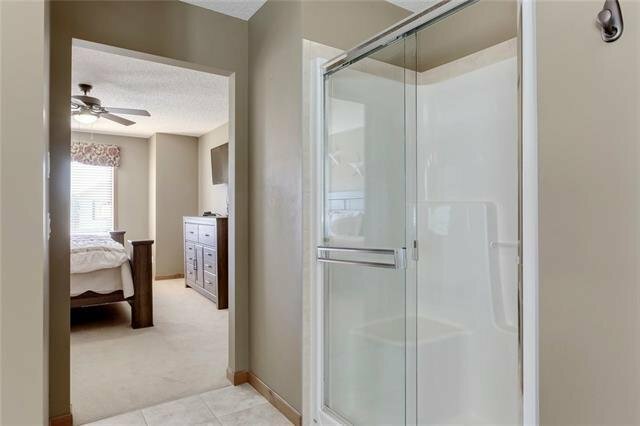 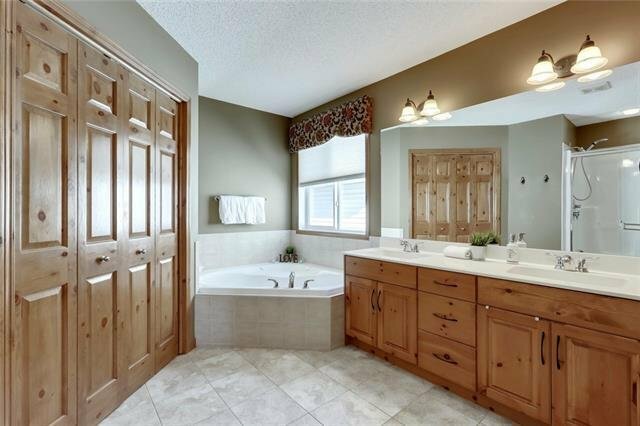 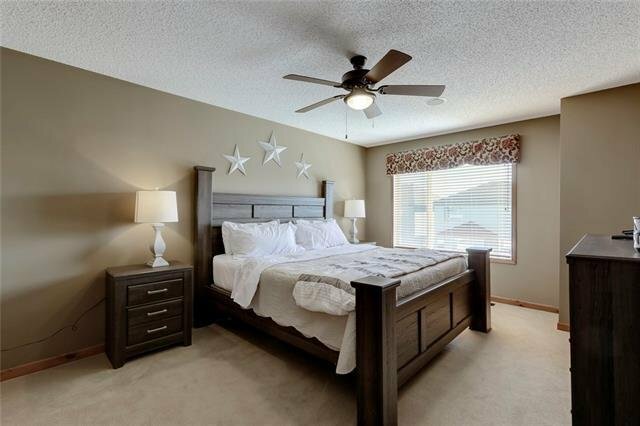 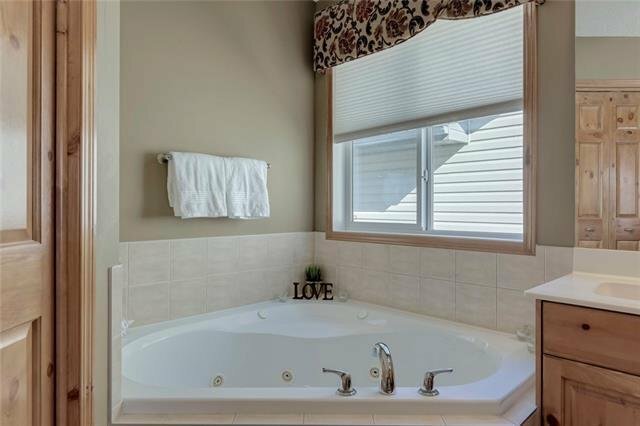 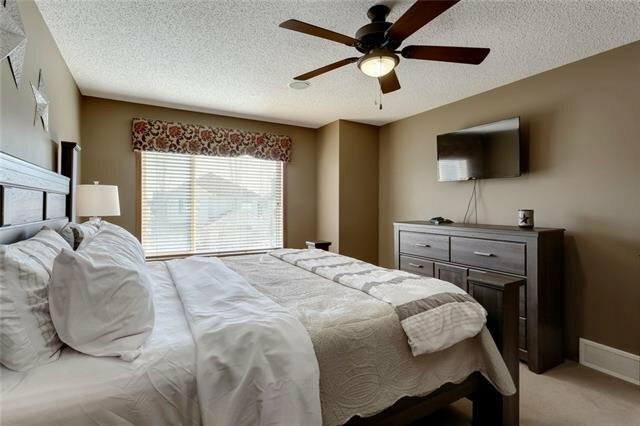 Upstairs you will find a large Master with barn door to en-suite bath with double sinks, soaker tub, shower and walk in closet. 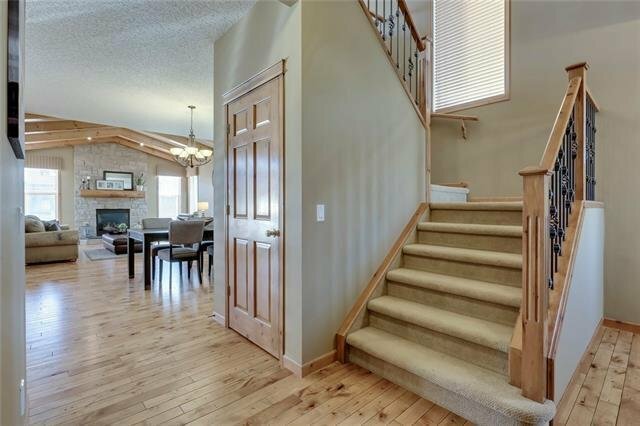 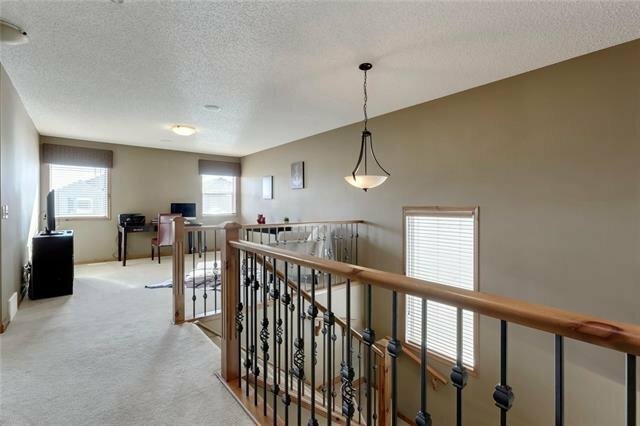 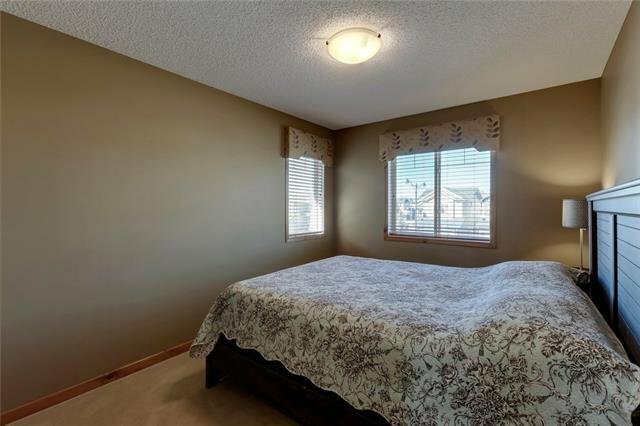 2 additional bedrooms, 4 piece bath and central bonus room complete the upstairs. 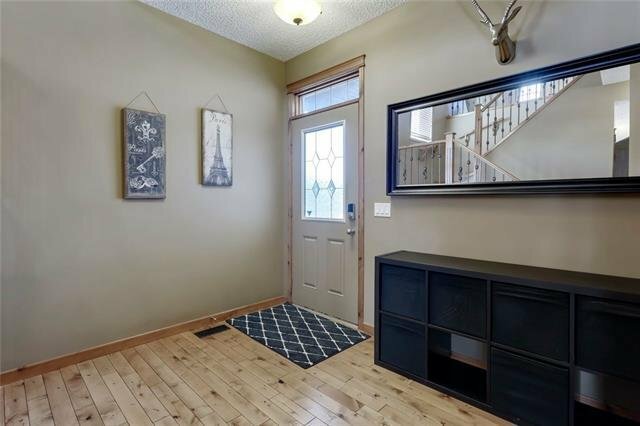 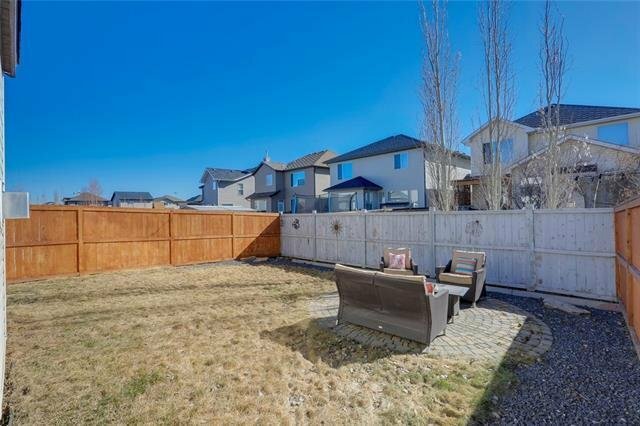 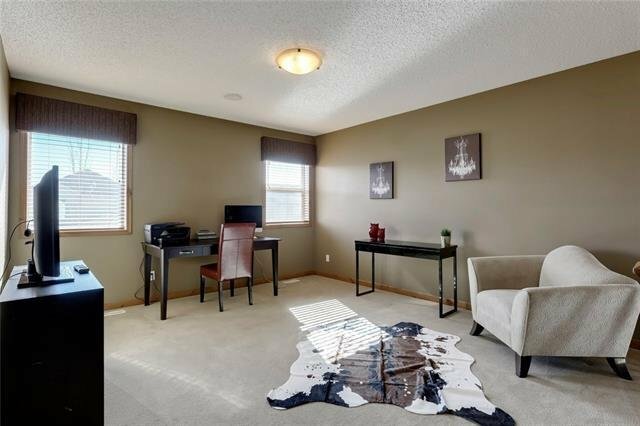 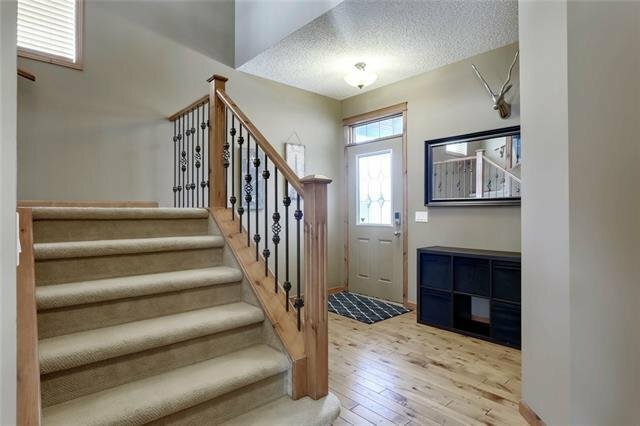 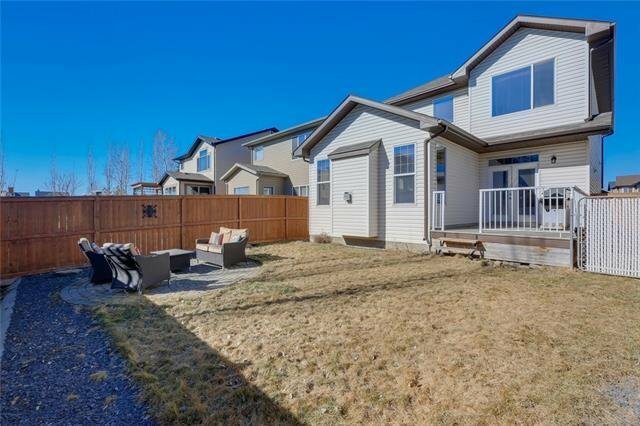 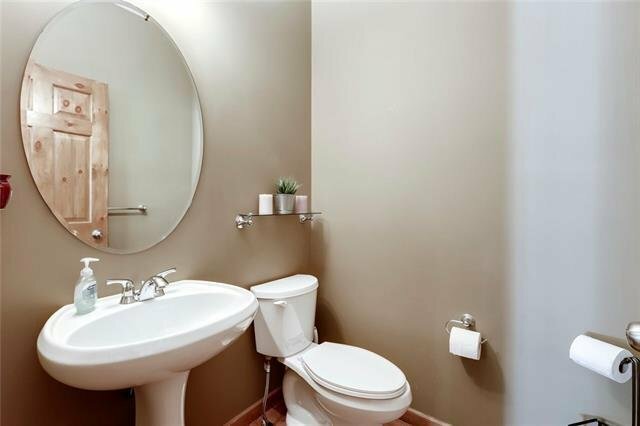 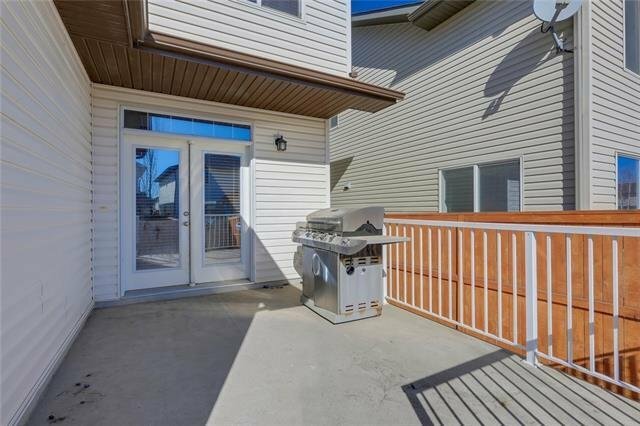 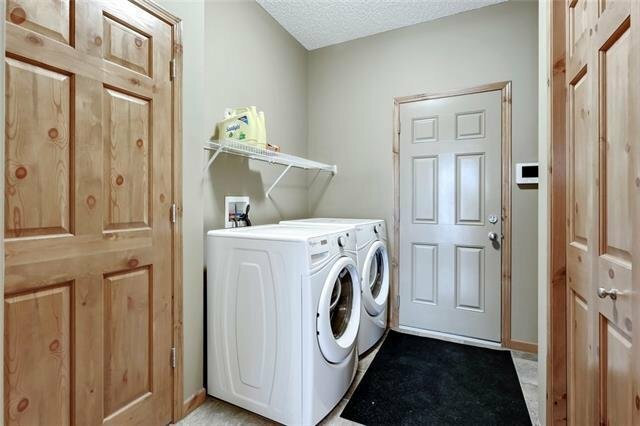 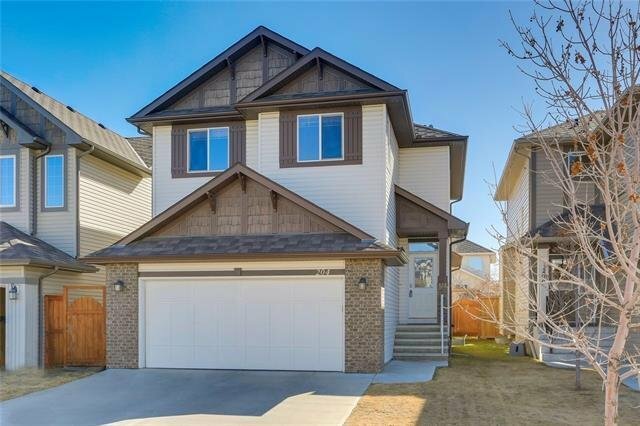 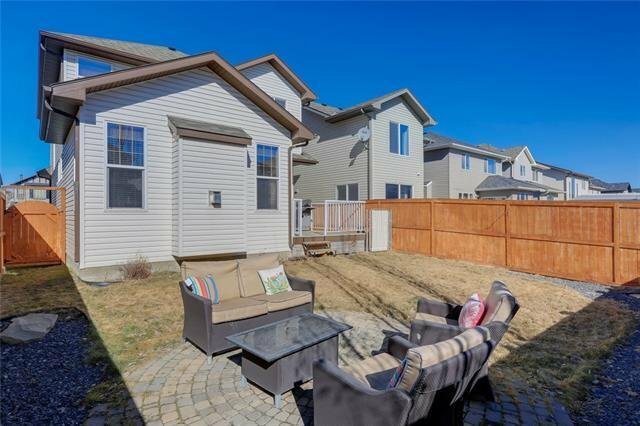 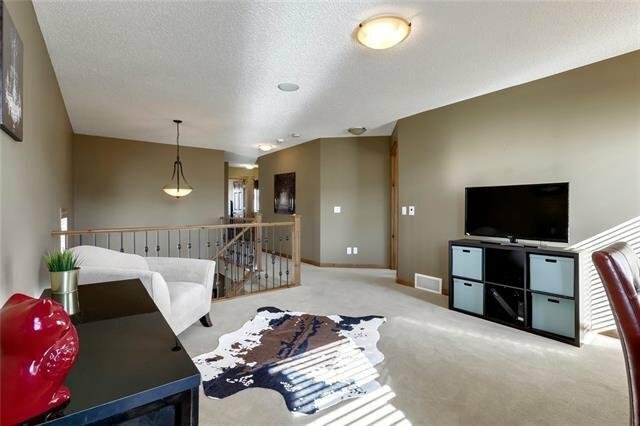 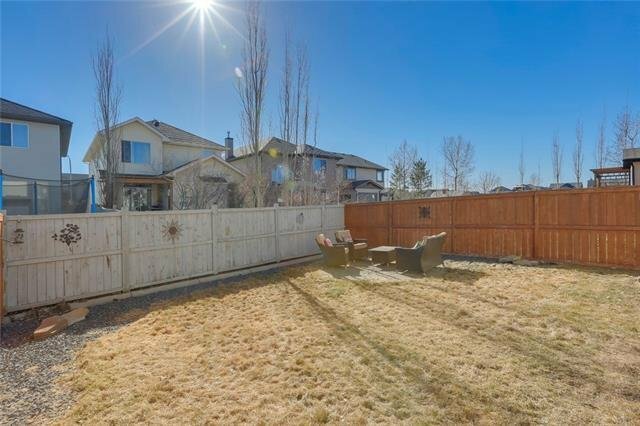 This home comes with in-floor heating in garage, 2 hot water tanks/ 1 is for in-floor heat, in-ground irrigation (blown out in the fall), central a/c, water softener, roughed in basement plumbing for future development down. 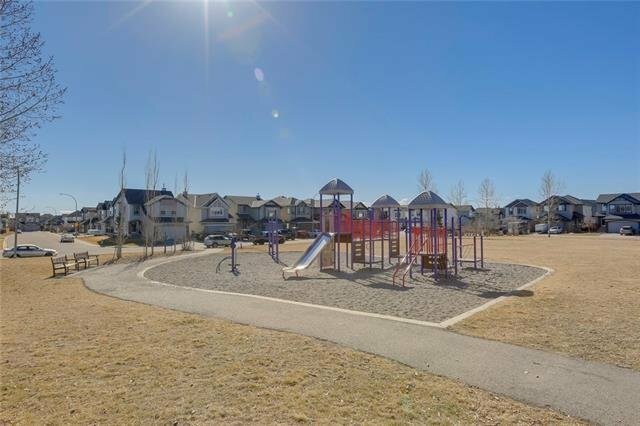 Surrounded by community amenities, schools, and New Brighton Clubhouse make this a terrific spot to call home!